Have you ever wondered how it would be like to be a giant in Fortnite? Well, now you can try just that! 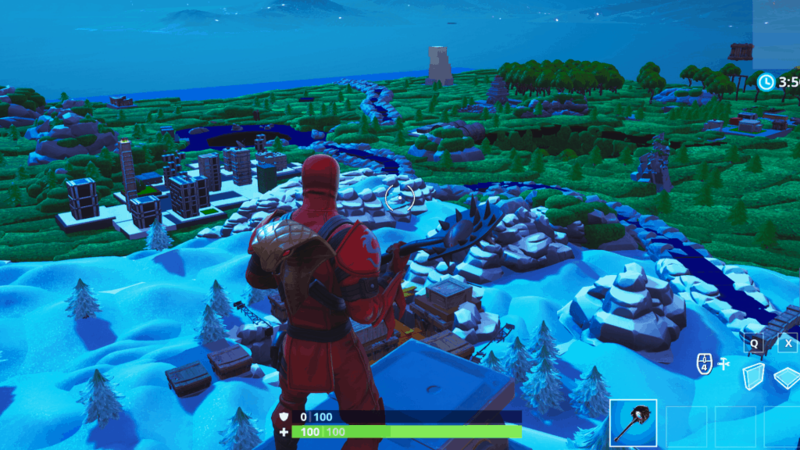 Fortnite player P_Rec has created this tiny version of the Fortnite map in creative mode. Check it out yourself here: 5320-7315-4181. Ever thought about Fortnite while in class? Most of us probably have, but that’s all the Fortnite we get in school. However, that’s not the case for a particular high school in Ohio, USA. A couple of students persuaded their chemistry to include Fortnite on their exam if they reached 6.7k retweets on a tweet. They reached the goal, so the teacher incorperated Fortnite into their exam. Here is the tweet, which reached more than 16k retweets. 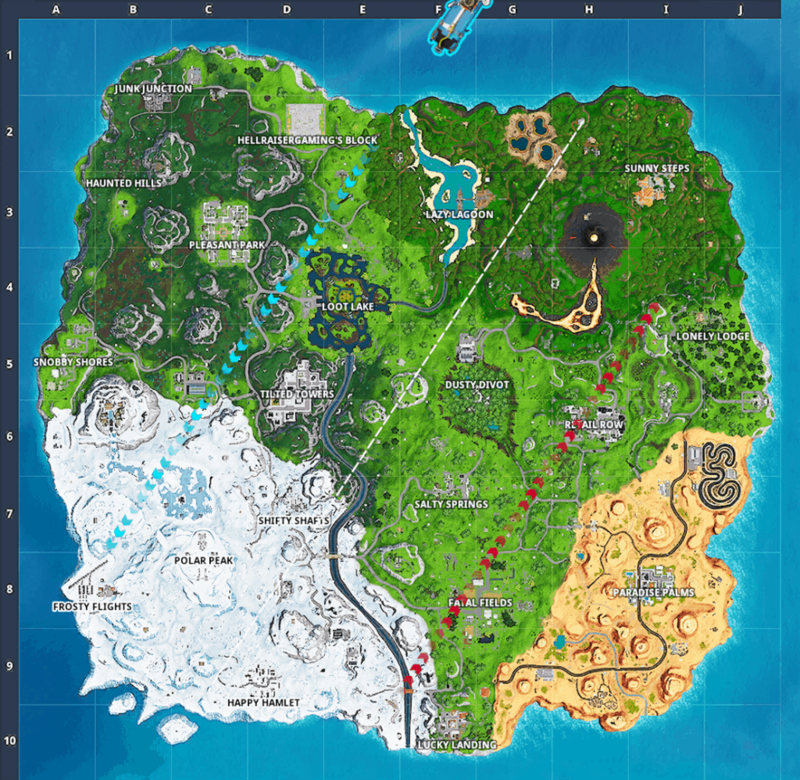 Until season 7, all locations on the Fortnite map were all named the same way. You might not have noticed it, but every location consists of two words, starting with the same letter. For example Tilted Towers, Retail Row or Fatal Fields. With the introduction of The Block, this naming method was broken, however. The new areas in season 8 are named with the classic method though, Lazy Lagoon and Sunny Steps. With the release of Apex Legends in February of 2019, Fortnite had to take measures against the new popular battle royale. These measures included giving away free items and battle passes. However, Fortnite also began targeting the keyword Apex Legends with their ads on Google. This got a lot of attention on different social media platforms and the Fortnite subreddit. Fortnite advertises itself as a free-to-play game, and while that might be true, it was one of the most profitable games in 2018. Epic Games made a stackering estimated $2.4 billion in 2018 on Fortnite through sales of skins, cosmetics, and other in-game items. Most people belive Fortnite has only been around since mid 2017, however, that is far from true. The original Fortnite game was released all the way back in 2011. Fortnite, the pve version, isn’t really what players associate with Fortnite though, and it is true that the battle royale version was released in 2017.